It’s November and while most of the U.S. is experiencing Autumn or Winter-like weather, us Floridians are still having warm and tropical days. Lucky for us though, it has cooled down enough where we aren’t sweating through our clothes! 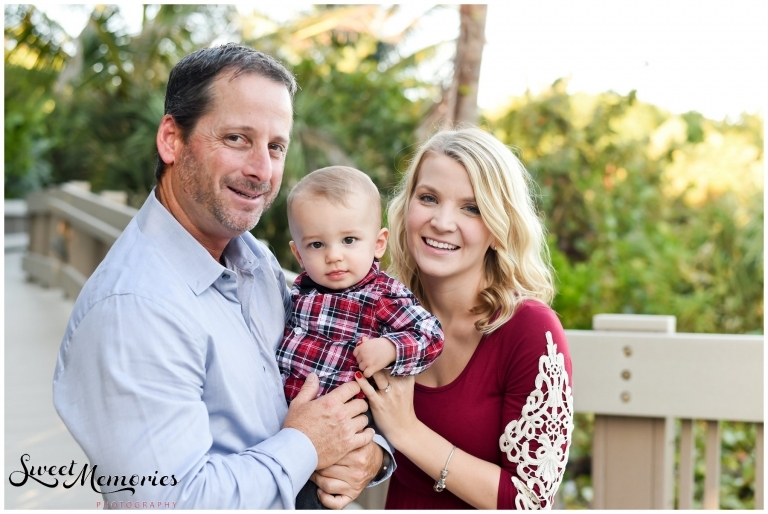 Perfect weather for this Boca Raton family session! Eric, Rebecca, Ashton, and I met for the first time at the local Red Reef Park close to sunset for some play time and, of course, photo opportunities! With a nice sea breeze, a comfortable temperature (we consider low 70’s to mid-80’s quite comfortable), and soft natural light, not to mention a very photogenic family, this session couldn’t have been more perfect. Little man, Ashton, was in a great mood … one of the most happy and easy-going babies I have ever met! He was calm and full of smiles, even when placed in the sand (although we had to keep him from actually eating it!!) and proud Mom and Dad were the exact same – happy, easy-going, calm, and full of smiles. I can see where Ashton gets it from! It was such a pleasure getting to know this family and having the chance to photograph them! I loved their playfulness and willingness to just go with the flow as we walked around the park, dunes, and beach. The best pictures always come when everyone is relaxed, being themselves, and having fun with the session! I mean, could this family be any more beautiful?? How sweet are these moments between mom and baby? One of my personal favorite images!! !